Today, TEN Spring Water announced a partnership with brand ambassador Melissa Etheridge to provide a tractor-trailer of TEN Spring Water, approximately 35,000 bottles, to the people of Flint, Michigan. Joining the effort is Virginia-based Grand Springs, a TEN water source and bottler. "I wrote the song 'Bring Me Some Water' so I thought it only fitting I should bring some water to a community that really needs it," says Etheridge. "We help each other... that's what we do. Water is fundamental to life and I believe that no individual should ever go thirsty so I contacted TEN Spring Water and asked that we join forces and together donate water to people that really need it." "What's happening in Flint is a tragedy and we feel it is our responsibility as a water company to lend a helping hand," said Jose Fernandez, CEO of TEN. "When Melissa asked us to donate all water she receives from our partnership to the people of Flint, we sought to maximize the impact of this gesture. With very generous help from Robert Smith and his team at Grand Springs, an excellent bottler and professional partner for us, we are able to pledge a full truckload of water." The truckload is expected to arrive in Flint, Michigan on March 17th. 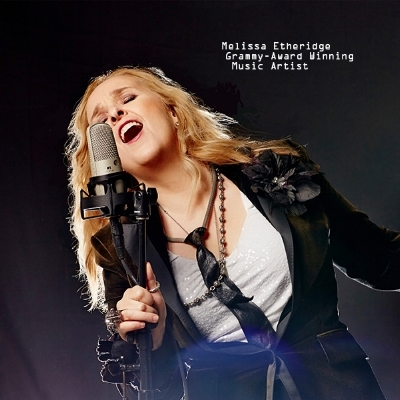 Melissa Etheridge is an American rock singer-songwriter, guitarist, and activist. She has received fifteen Grammy Award nominations throughout her career, winning two. In 2007, she won an Academy Award for Best Original Song. In September 2011, Etheridge received a star on the Hollywood Walk of Fame. She is currently on a multi-city tour across the US.